Los Angeles-based artist Ben Jackel uses primitive materials and old traditions to look at the contemporary world. 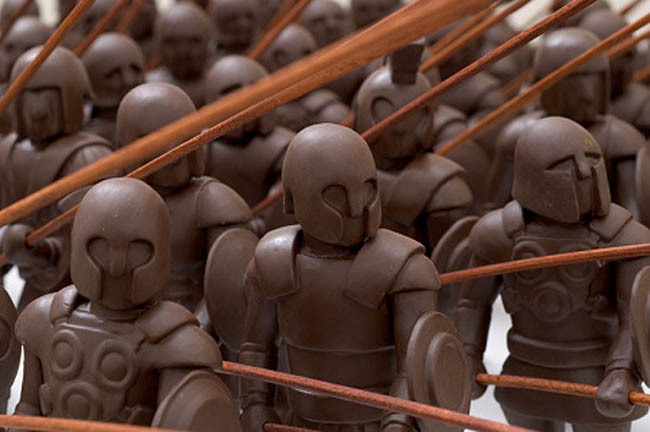 He is interested in the history of warfare and its tools, from 15th Century halberds to present day spy planes, and has recreated versions of them in mahogany coated in graphite. 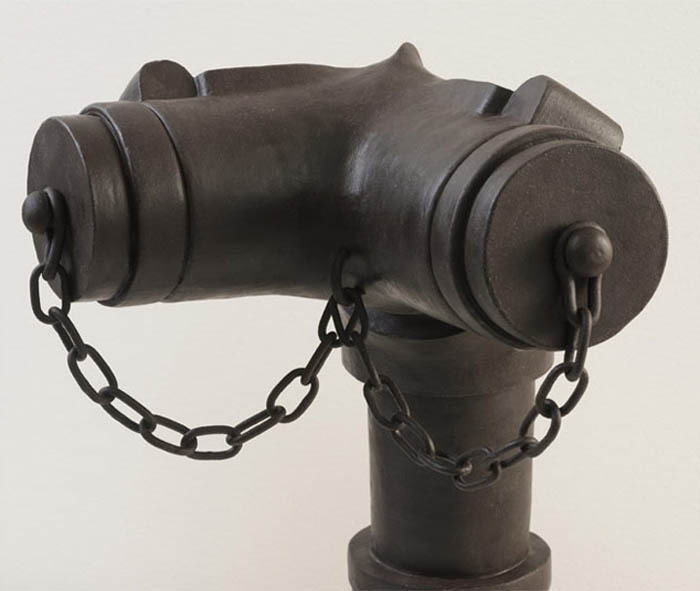 As a counterpart to these, Jackel has made a series of emergency tools using stoneware and beeswax that include fire hydrants, standpipes, alarms, axes, and fire hoses. 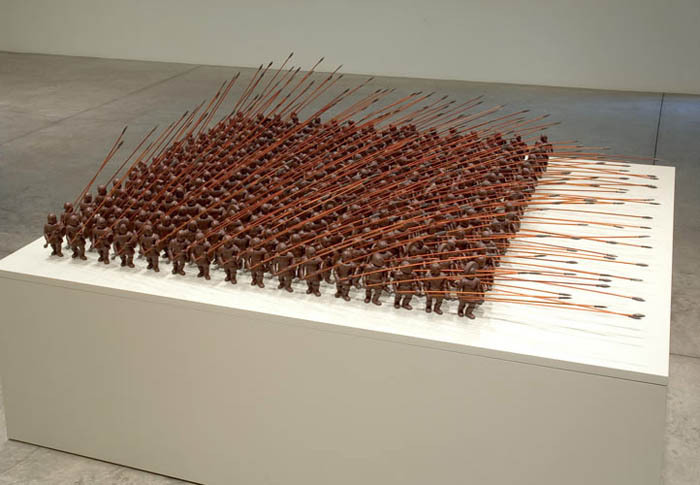 These tool sculptures both contrast and complement the war-themed ones; they, too, represent powerful forces at the ready. Jackel’s latest solo exhibit Zero Percent Contained is on view through the end of June at LA Louver in Venice, California.